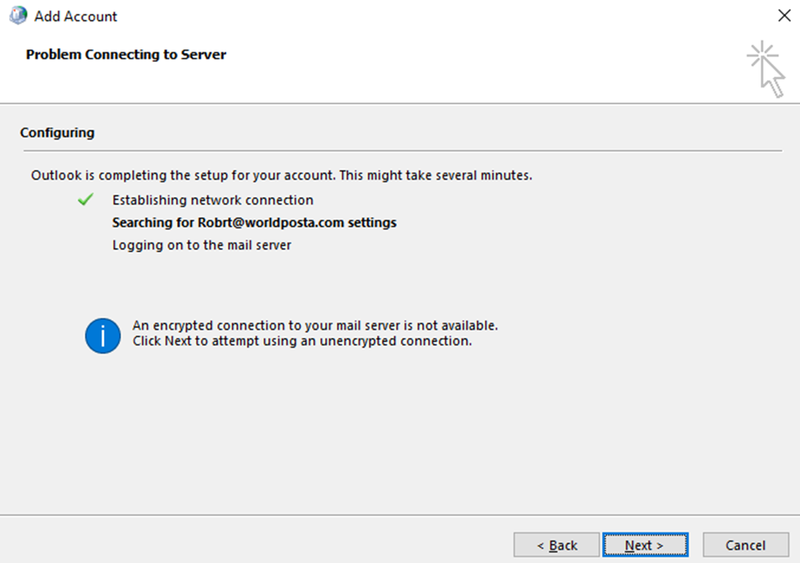 Outlook Problems, Unable to connect to WorldPosta Exchange system. Tags: Unencrypted, Outlook, Autodiscover, SRV, Internal DNS, Firewall, Ports. NoteIf any method doesn’t resolve the problem, go to the next Method. until finding the problem cause. “An encrypted connection to your mail server is not available. 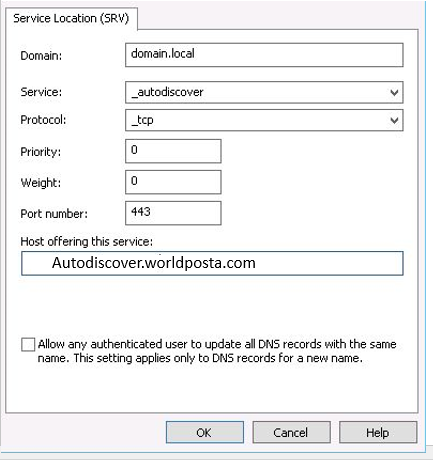 Click next to attempt using an unencrypted connection"
You can release this problem by manual setup your account to guide the autodiscover configuration to the server name directly. When the test is performed, determine whether it’s successful. · If it is successful, Autodiscover is working correctly. 1. Add SRV record to your internal DNS: force the autodiscover configuration to search a hostname that is listed on your local domain. This is actually fairly simple to do. The following steps to configure the Service Locator record in your internal domain. From the DNS manager on your Domain Controller. Domain’s Forward Lookup Zone “the same domain which is hosted on WorldPosta if it does not exist you can create new zone then add the domain”. Right-click on the Zone name and select Other New Records. 1. In the Settings view, open the Protection tab and select Anti-Spam in the right frame. Click the switch to disable the component. As shown attached.